Hainsworth Park is the perfect venue for all types of parties and functions – from an intimate family gathering to a wedding reception. 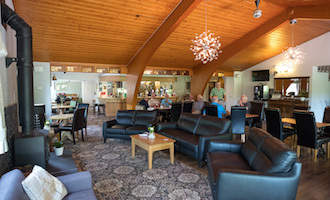 Our clubhouse is spacious and welcoming, with doors that open onto a large terrace looking out onto our beautiful golf course. We have a licensed bar and there is ample parking for guests. Our chef will work with you to create a delicious menu to suit your taste and budget, whether it be a buffet or sit-down meal. All food is homemade using fresh produce sourced locally wherever possible. We can accommodate up to 60 people for a sit-down meal, and there is no maximum number for a buffet. Please note that a deposit of 20% is required at the time of booking. We will be delighted to decorate the function room for your event if you supply your chosen decorations. 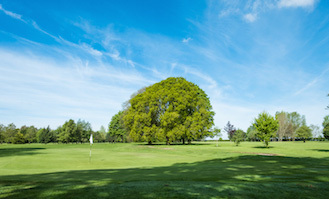 In addition to wedding receptions, we also host business functions, retirement parties, birthday parties, and a range of other special occasions – contact Helen today on 01964 542362 or by email to info@hainsworthgolfclub.co.uk.